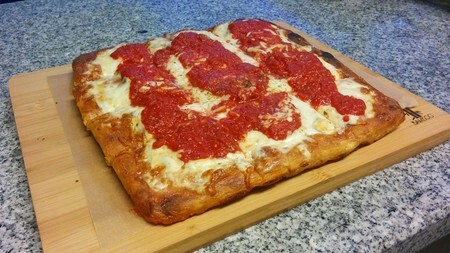 Earlier today I tried making a Sicilian pie for the first time. For a first try, it was pretty good, but there's a bunch of things I'd like to improve upon. I noticed the bottom was a bit too crunchy. Not burnt, but the bottom was tougher than the rest of the pie. Excellent looking pie, Raj! Love it. What was the hydration? Thanks Mike. Looked better than it tasted. I'm making another round today. Hopefully I'll be able to iron out all the wrinkles. This pie was 70% hydration. 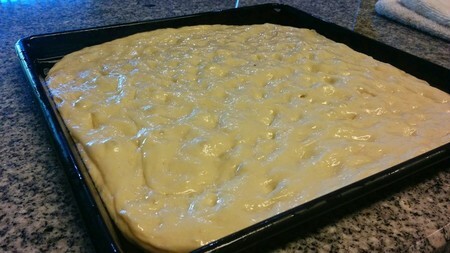 It looks nice and tasty:) What is your recipe for dough? I have seen some Master Chef episode which took place in Sicily. The participants were taken to the traditional pizzeria and the chef of pizzeria showed them how to make Siciliana. 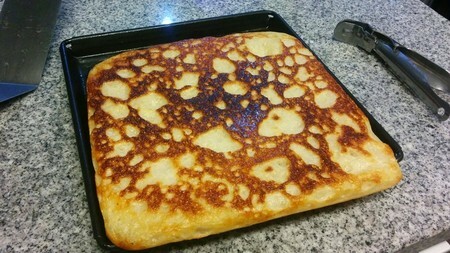 He took two piece of regular dough and combined them. That was the base. Thanks Olek. I just posted pics for my latest attempt. A meaningful improvement in my opinion. 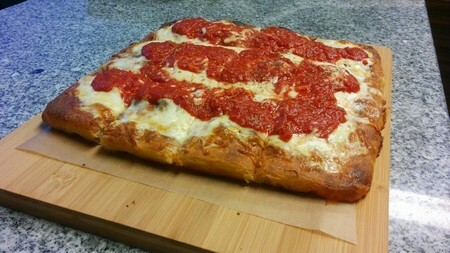 For this I'm using the Sicilian dough recipe in The Pizza Bible. 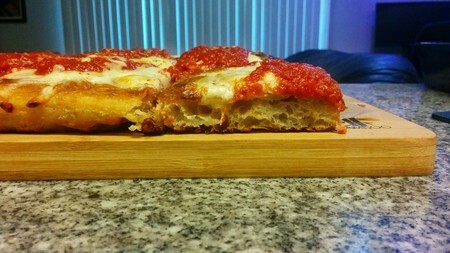 It's a higher hydration recipe than most regular doughs. You'll get a nice, fluffy texture. I've seen places stack two doughs, but never tried it. 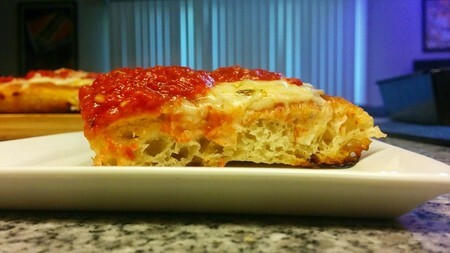 You can tell by looking at the open dough structure in the pics above. Looks fantastic! I'll try myself this recipe. Thanks. Looking forward to see some pictures!